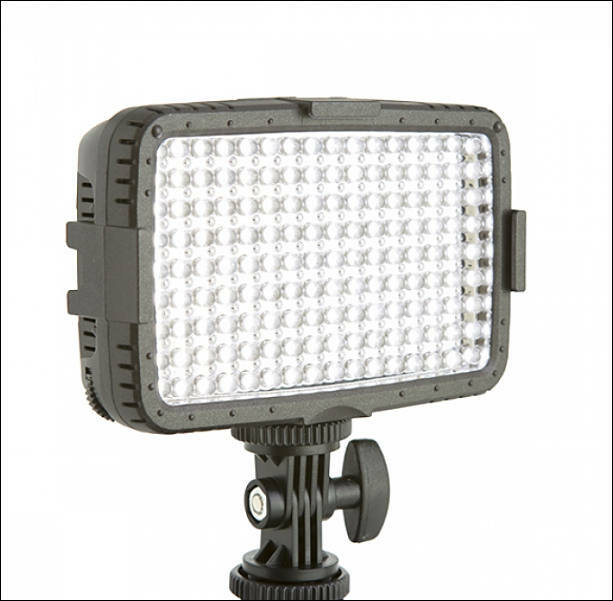 The NanGuang CNB144 and CNLUX1600C panel lights feature an adjustable angle bracket so the light can be directed higher or lower than the angle of the lens. Both the NanGuang CNB144 and CNLUX1600C offer a brightness of 1005 LM each at 100% brightness, as well as a stepless dimmer control. You can lock them together with other units of the same type to create a larger light panel. 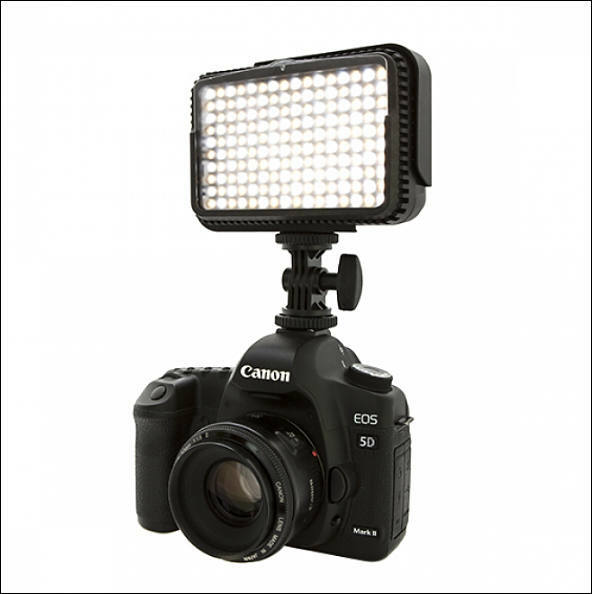 The CNB144 weighs 225g and comes with a diffuser, as well as a pink filter and 3200K filter. Colour temperature is 5600K. The NanGuang CNB144 price tag is £89.94. The NanGuang CNLUX1600C price tag is £119.94. This panel is bi-colour, with colour temperature steplessly adjustable from 3200K-5600K. Power output is 9.6W, comes with a supplied diffuser plus pink and blue filters. The front Fresnel lens can be adjusted via a side-mounted knob to give an angle of beam between 10 to 60 degrees. Another knob gives stepless control of the brightness from 0 to 100%. The NanGuang CN8F can be mounted on the camera’s hotshoe or tripod. The lower section of the head has a locking knob that enables the user to adjust and direct the light upwards or downwards when in use. Rotating frame on the front of the lens holds up to three filters of 65 x 70mm. Orange 3200k and blue 6500K filters are included in the kit, as well as a gelatine filter holder, barn doors and a padded carry case. 8 Watt single LED light gives 95 CRI, illumination of 560 LM and a colour temperature of 5600K. Weight is 550g without batteries. Dimensions: 200 x 160 x 85mm. The NanGuang CN8F price tag is £239.94. Each LED light is battery powered and compatible with Sony NP-FH, NP-FM, NP-F series batteries, Panasonic CGR-D series batteries (adapter plate included), Ni-HM or AA batteries (battery magazine included). You can also power the lights with an AC 100-240V power adapter, it is optional. 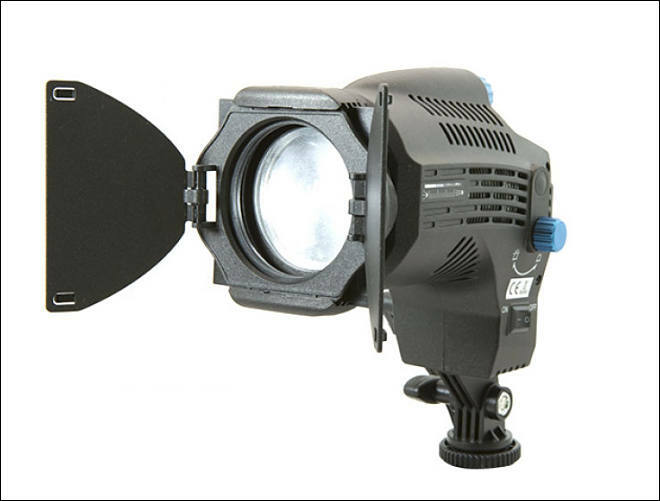 Interesting lights, especially fresnel, but not very cheap.